They say one man's trash is another man's treasure, and this has never been more apparent than with online auctions. Before eBay, most of us would toss our unwanted items to the curb on bulk pickup day, now we're selling them off to the highest bidder. Bargain shoppers are learning that online auction houses yield a variety of treasures. These auctions are not just for art or antiques, either. Books, movies, toys, furniture, cars and snack foods in the shape of celebrities can all be found at an online auction house. People are buying too! In fact, online auction sites are now the first place many of us look when shopping for a particular item. People aren't only buying, either. 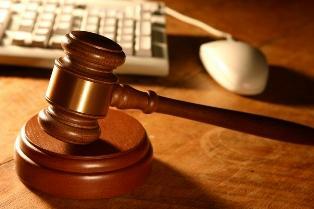 Many are discovering new ways to earn money thanks to online auctions. Not only have they found items to sell in their own homes, they're scouring garage sales, flea markets and other people's attics. Many people even earn a living by auctioning items online. Many eBay shops are springing up across the country so those who don't want to take the time to auction their items can do so and split the profits. If you're looking for an awesome deal on that hard-to-find item, online auctions are the best place to start. If you own one of those rare items and you're looking to sell it for the best price, online auctions are also your best choice because the online audience there is so much larger than any other venue you could use to sell. So, whether you want to buy or sell - you'll have the best results if you visit your favorite online auction website.